Children see things differently to adults and it always worth taking time to reflect on the differences between our world and theirs. Moving has given us the opportunity to reflect on child friendly spaces. Storage units that were once out of reach are now more accessible by putting them on wheels and placing them on the floor. It has enabled the children to really take control of their space and get creative both inside and out. 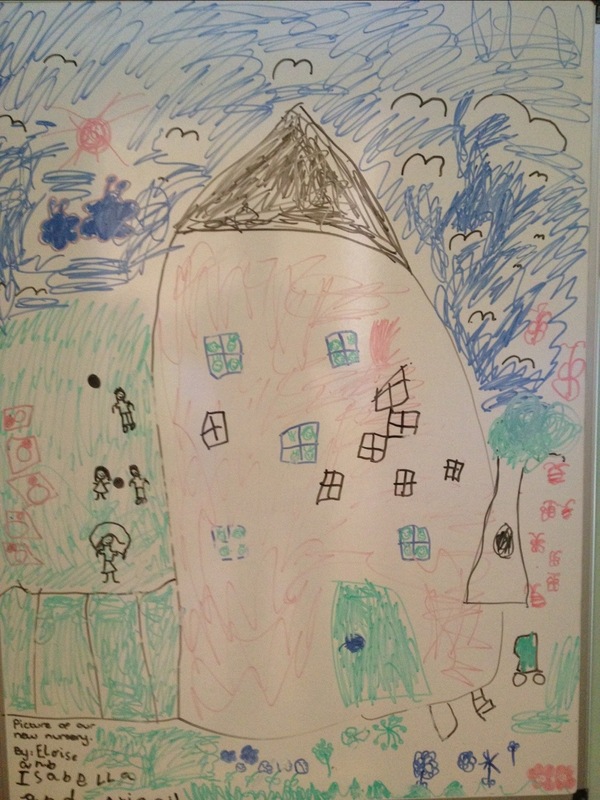 This is what Danesmoor House looks like to three of our youngsters. The more you look at it the more details you will recognise. The most recognisable feature I can see is the happy faces at the window and in the garden. That’s what Danesmoor House is all about.